Leaders of Egypt’s Muslim Brotherhood have been asked to leave Qatar as the state begins the implementation of the Riyadh agreement signed in 2013. The decision is seen as a sign of the balance of power in the Gulf because Qatar was always reluctant to adhere to the terms of the agreement but fears about the threat from the Islamic State (ISIS) in Iraq and Syria helped to convince Qatar to back down, diplomats said. Turkey is willing to accept the exiled leaders. Seven senior Muslim Brotherhood figures, amongst which were its acting leader Mahmoud Hussein, were ordered to leave during the weekend. Qatar also agreed to stop attacking Egypt in Al-Jazeera’s broadcasts. According to Gulf sources, Qatar succumbed to the pressure of Saudi Arabia, the UAE and Bahrain due to the need to cooperate in fighting against the regional insecurity caused by the ISIS. The expulsion of the Muslim brotherhood leaders and the halt of Al-Jazeera attacks on Egypt were part of the Riyadh agreement even though they were never made public. Reports in the Turkish media quoted President Erdogan saying that Turkey will open its doors to the expelled. 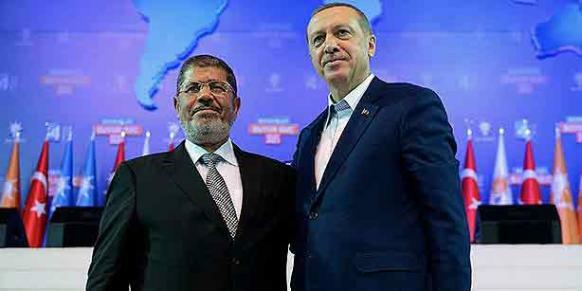 The Foreign Relations Officer of the Egyptian Muslim Brotherhood, Amr Darrag, is reported to have already arrived in Turkey while Gamal Abdul Sattar, the former Deputy Head of Egypt’s religious affairs directorate, is also on his way there. Qatar has showed signs that it will continue to discreetly support the Muslim Brotherhood. Written by: Jaber Ali on September 17, 2014. Posted by Jaber Ali on Sep 17 2014. Filed under Headlines, World News. You can follow any responses to this entry through the RSS 2.0. Both comments and pings are currently closed.